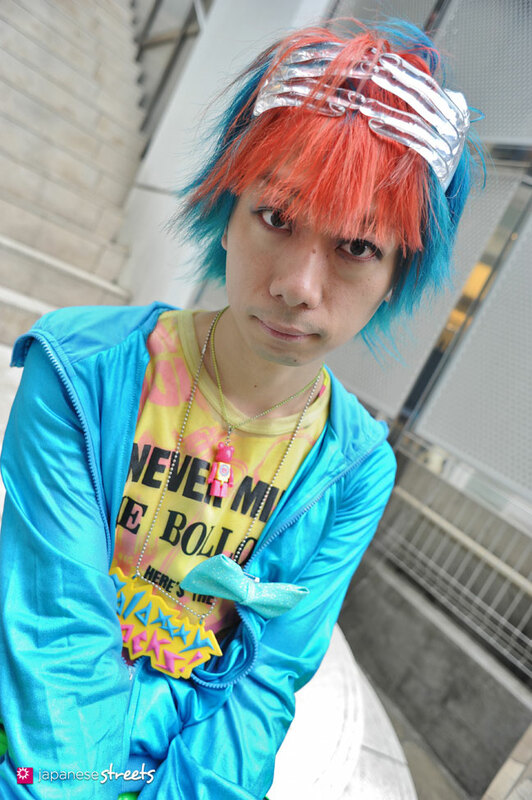 With his sunset orange and aquamarine hair, Junya reminds me of a visit to Baskin and Robbins. I was always amazed and mesmerized by the colors that greeted me there from below the glass. Junya has the same effect on me. I love photographing him. 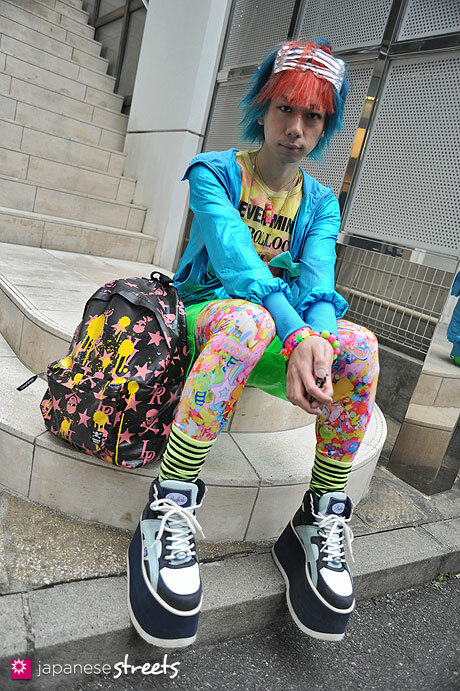 Not so long ago, American fashion designer Jeremy Scott took a stroll in Harajuku. 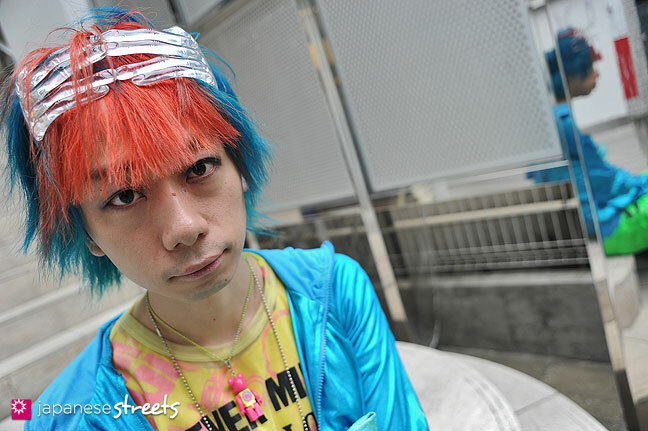 In one of the backstreets he noticed Junya. Usually, people accost Scott to ask him if they can take his photo. But here it was the other way around. Junya eagerly obliged, of course. Buffalo Tower shoes are coming back!! Big time! This platform sneaker trend (that I personally think started again back in Tokyo 2-3 years ago) is kind of at its peak, I think. Do you think it will become more mainstream? Even last fall in Harajuku tons of people were wearing platforms, but I didn’t see it much anywhere else in Tokyo, or in Osaka. @Lactose Intoler-Art: Yes, I see more Buffalo platform shoes. I don’t dare to speculate on future trends, but it seem unlikely this will go mainstream. 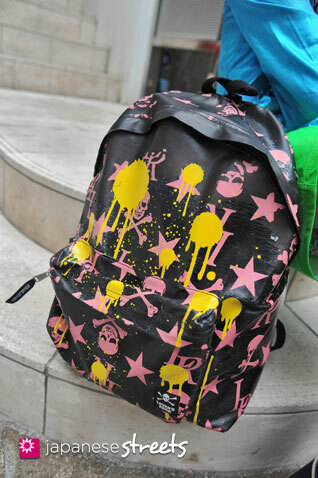 I think it will remain mostly a Harajuku thing. At least for now. @Melinoe: They are great, eh!